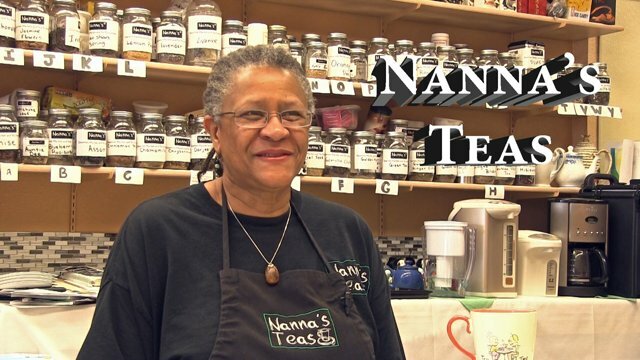 Nanna's Teas • BLACK American MADE - BAM! Nanna’s delivers 4th generation recipes and tea service with tender loving care. Founded in 2009, Karen Renz and her daughter Tobie expanded their online tea shoppe into a retail location where it quickly grew into a popular hangout for the neighborhood. It has now evolved into a tea room that serves cups of tea, scones bangers and mash, crumpets and more. Nanna’s offers over 120 teas and menu items in its shop, including freshly baked scones, clotted cream and preserves from recipes that have been Karen and Tobie’s family for more than four generations.